Chief Inspector Max Cámara series. The first book in the series Or The Bull Kills You (2011) was long-listed for the CWA New Blood Dagger. His novel Duende: A journey in search of Flamenco (2003) was long-listed for the Guardian First Book Award. Some stories have a haunting power - they seep into your dreams and become a part of you. And those kinds of stories may be ‘true’ or ‘untrue’ in the ordinary sense - it really doesn’t matter. The fact is, once you have come across them, you will never be the same again. The life and achievements of the Spanish WWII double agent Juan Pujol have resonated with me for a decade, ever since I first learned of him. An ordinary-looking yet complex man, Pujol played an indispensable role in the success of D-Day and the Normandy campaign. And he did so by telling stories and inventing larger-than-life characters - fictional members of his supposed network of Nazi spies based in Britain and around the world, feeding disinformation to Hitler and German high command. His tale was a perfect example of the pen being mightier than the sword. Pujol himself was from Barcelona - a dreamer and a liar, and yet a deeply noble and kind man. He comes across as a character from a picaresque novel - a saintly rogue and compelling fantasist with unorthodox ideas about truth, someone who defies simple labels of ‘good’ and ‘bad’: at once innocent, like Don Quixote, and wily, like Sancho Panza. And through his stories, and the powerful grip that they had over German commanders, Pujol became the greatest double agent in history, changing the course of the Second World War. Without him and his extraordinary imagination, the Allies would almost certainly have been defeated in Normandy in June 1944. I knew that I wanted to tell his tale, but circled around it for years, not knowing quite how to tackle it. In the meantime I wrote other books - travel and history books about my adopted homeland Spain, the first novels in my crime series about Chief Inspector Max Cámara of the Spanish National Police. But Pujol always returned to my thoughts, as though calling to me. In the end I decided to write something about him, and to tell his tale ‘straight’ - or at least as straight as possible: it’s a story that gets to the very heart of the problem with strict distinctions between ‘fiction’ and ‘non-fiction’. Having written a crime series, I wanted to flesh the story out - much like a novel. Pujol had affected the lives of millions through what he did and so I brought to life a handful of those most directly touched by his deception work: a brutal and effective German commander whose tanks were re-routed away from Normandy thanks to Pujol’s ‘intelligence’; British soldiers landing in Normandy and fighting their way through northern France; a Spanish lieutenant with the Free French who was the first Allied soldier to reach central Paris in August 1944; Hitler himself, reading Pujol’s reports and making crucial decisions based on information from someone he wrongly believed was ‘his man in London’. My accounts of all these people were based on historical research, but I treated them as far as possible as characters in a story, weaving them into the narrative of Pujol and the great web of deception that he cast over the spring and summer of 1944. And I pieced together Pujol’s life and work, running in parallel. As great battles were being fought in Normandy, he was sitting in a tiny office near Piccadilly, often spending the night there, dreaming up stories with his brilliant MI5 case officer, Tomás Harris - half-Spanish half-Jewish, a fluent Spanish-speaker and gifted artist as well as intelligence genius. Occasionally, when work permitted, Pujol managed to make it home to a modest house in Hendon where his wife, Araceli, was looking after their two small children, suffering multiple breakdowns as she coped with the language and cultural challenges of living in wartime Britain, far from her native Spain. Not only was Pujol battling Hitler, he also had a crumbling marriage to cope with on his personal home front. It has been a richly rewarding book to write, delving into the archives both in Spain and Britain in order to piece together Pujol’s life, unearthing some gems along the way. It was not surprising, perhaps, that in a tale about the secret world there should be more secrets to be uncovered. And a personal connection to his story developed the more I explored it: as a Brit obsessed with Spain I could hardly fail to be engrossed in this curious - and rare - example of Anglo-Spanish cooperation and harmony. And as a writer and story-teller I felt a link of sorts with the man himself. He told stories in order to change the world. 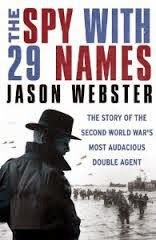 The Spy with 29 Names is my version of his tale - and a homage to one of the most important story-tellers who has ever lived. You can find more information about Jason and his work on jasonwebster.net and specifically about The Spy With 29 Names at thespywith29names.com. 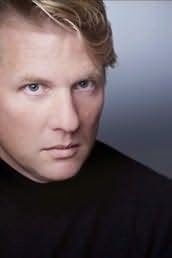 He can also be found on Twitter @jwebsterwriter and you can also follow him on Facebook. THE SPY WITH 29 NAMES is out now and is published by Chatto & Windus.